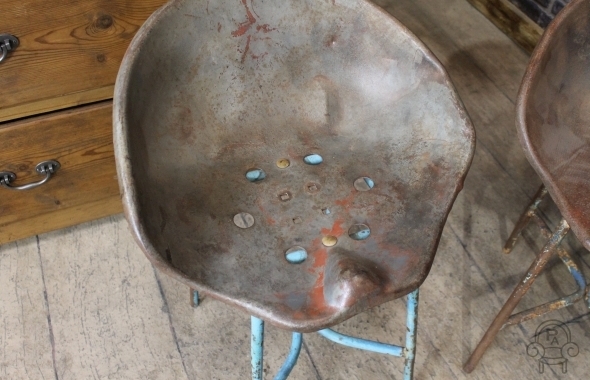 Please note this listing is for one copper Eton chair only, but we do have more in stock. 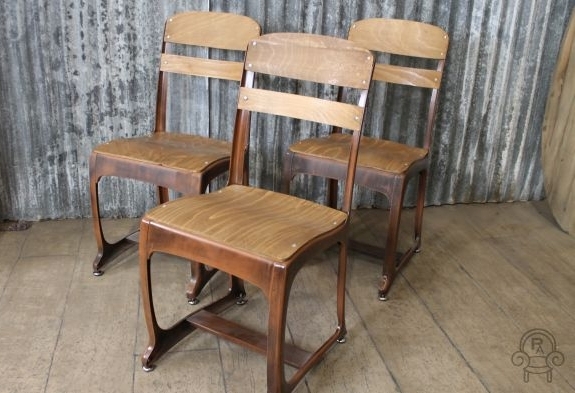 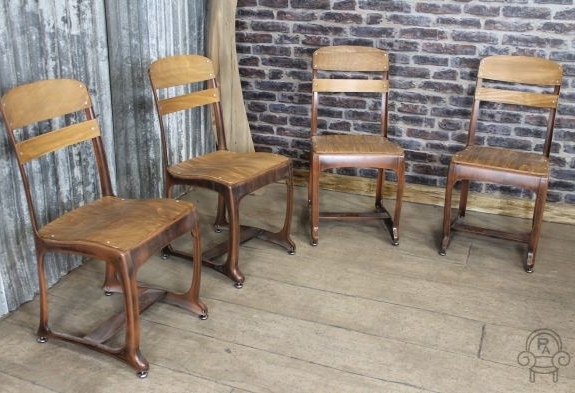 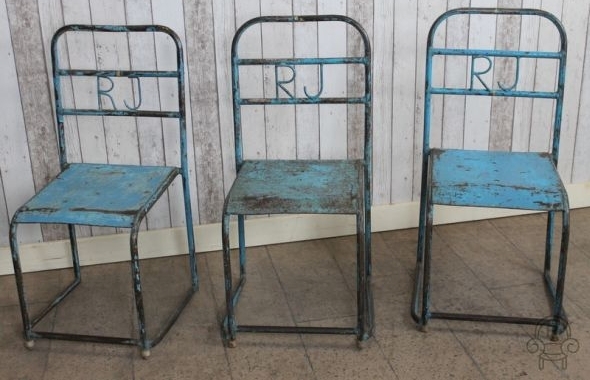 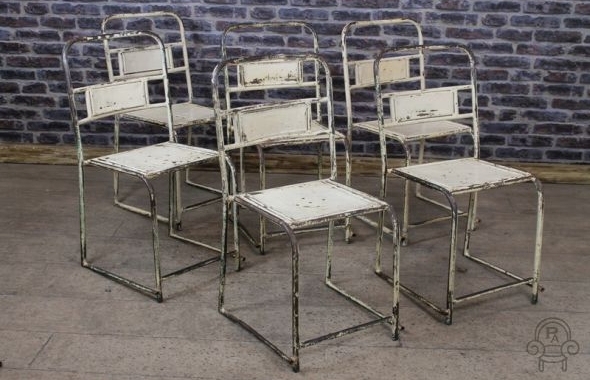 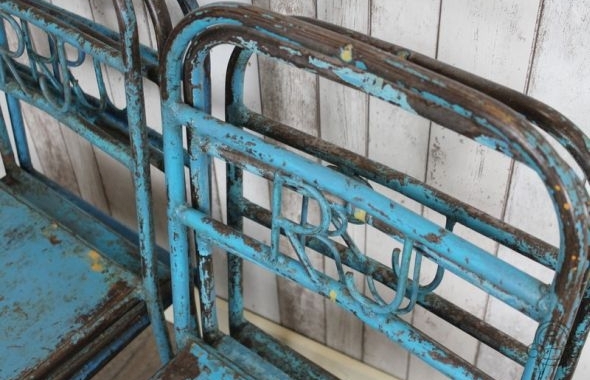 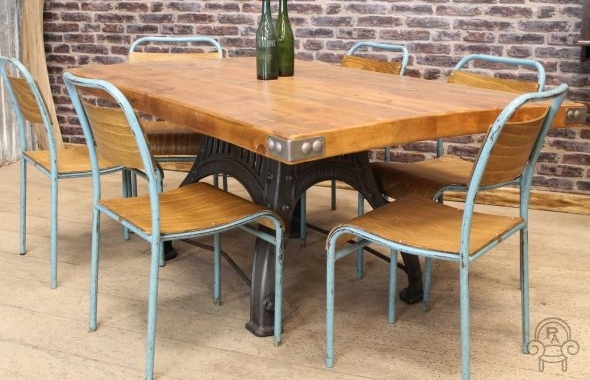 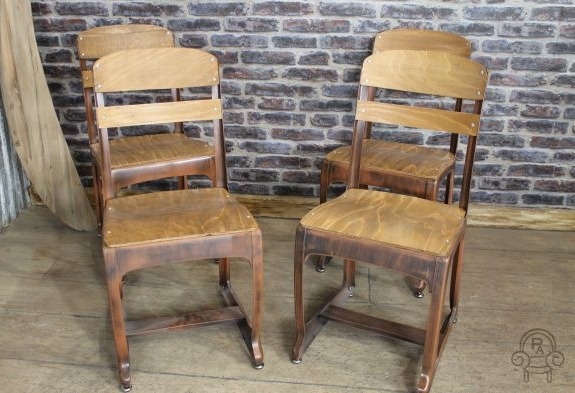 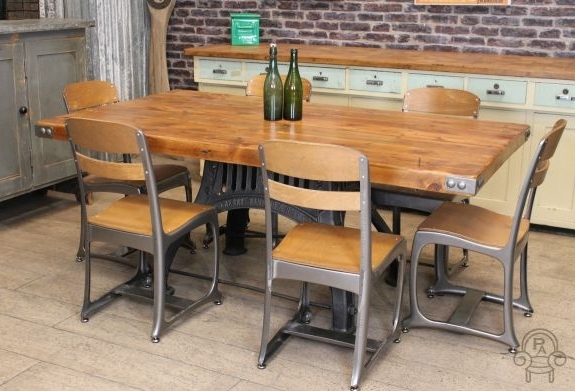 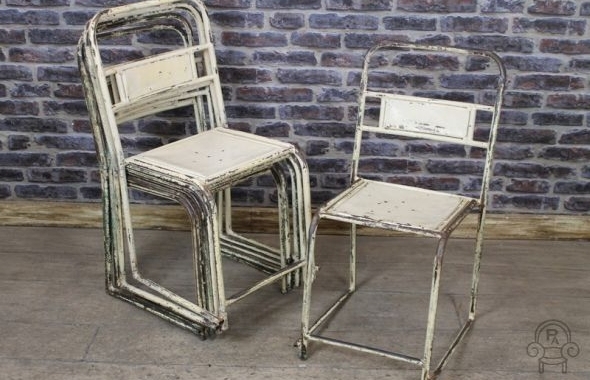 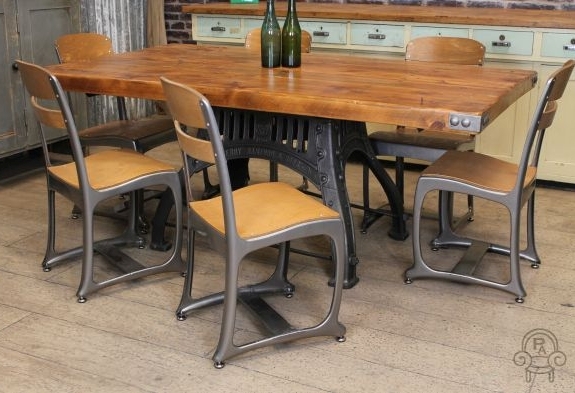 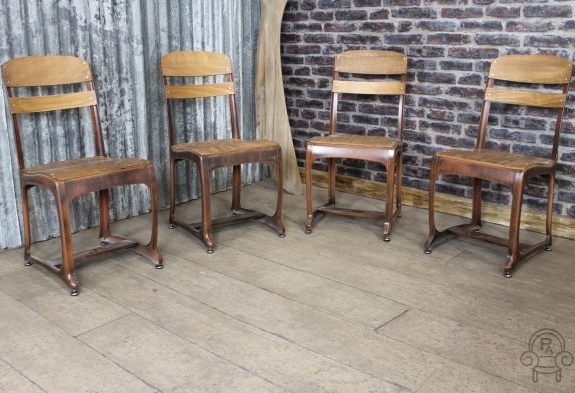 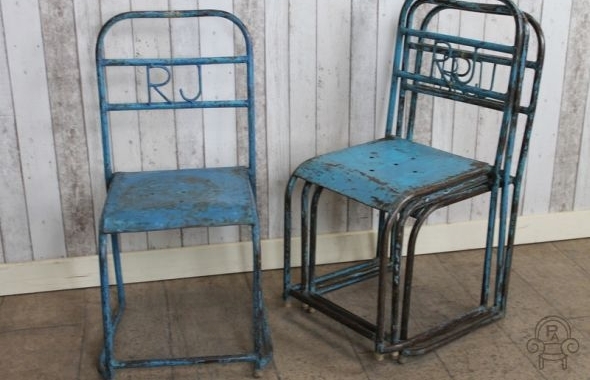 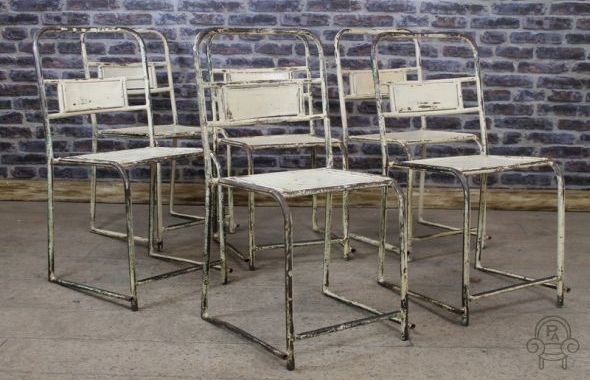 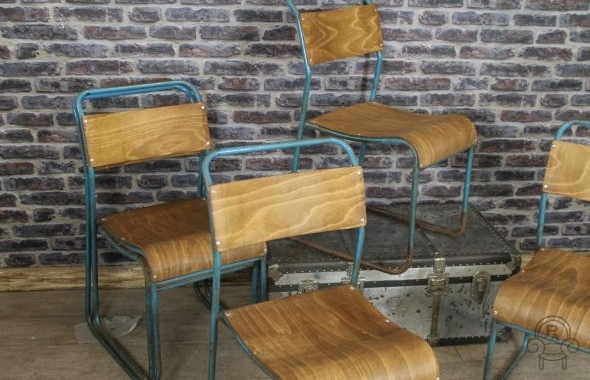 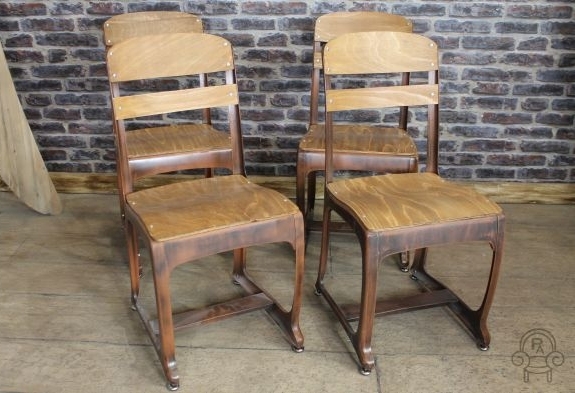 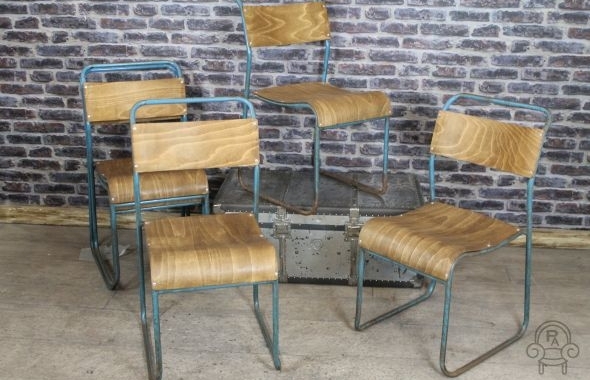 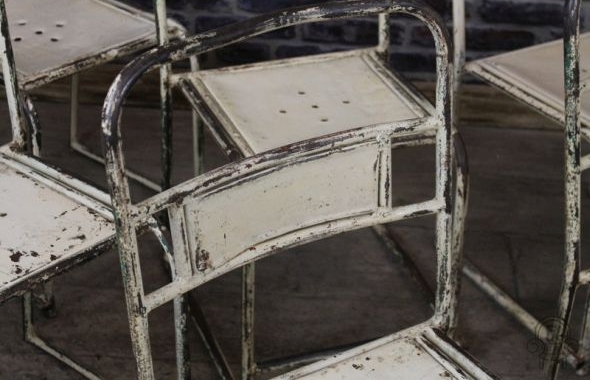 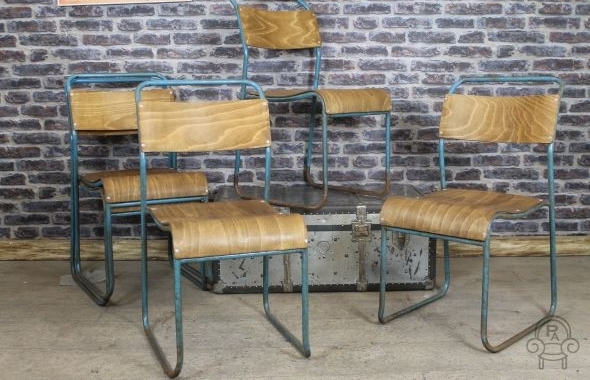 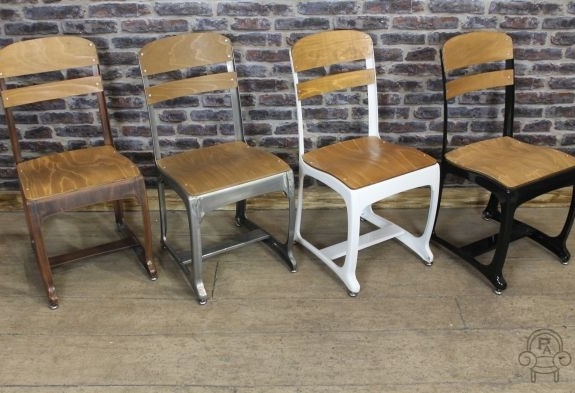 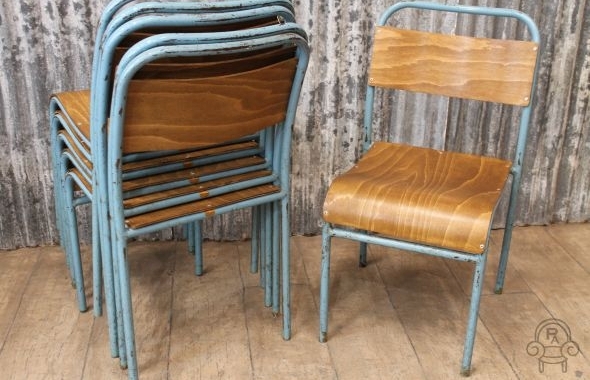 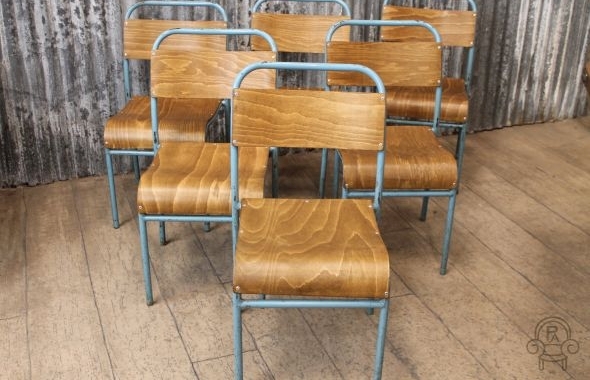 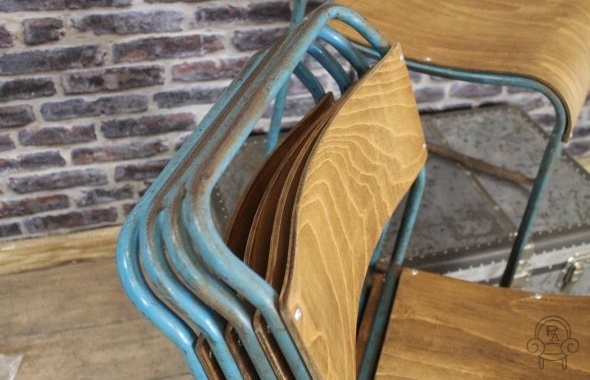 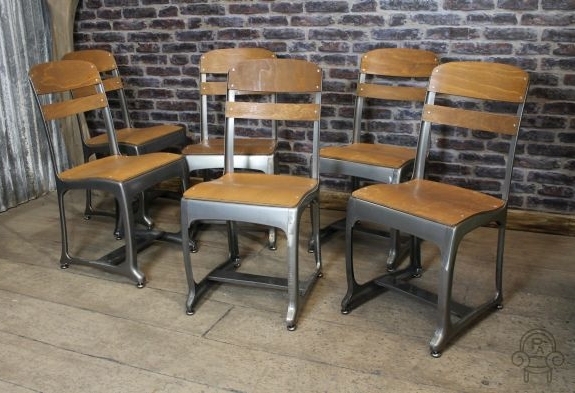 These 1950s inspired vintage style chairs feature classic vintage industrial styling. 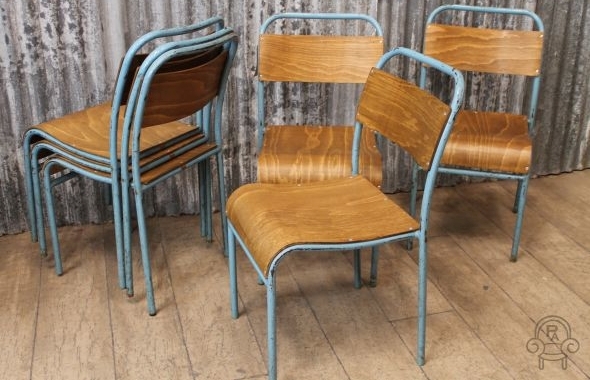 The ‘Eton’ chairs exude an urban warehouse appearance with their pressed steel frame, a steam bent moulded aged plywood back and seat and a powder painted copper style frame. 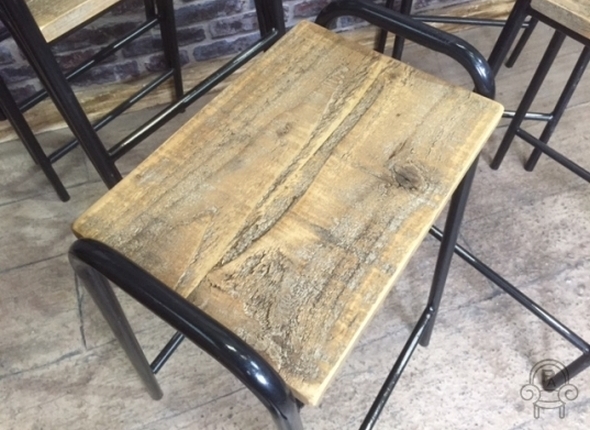 These chairs also come with added feet protection, helping to prevent marks and scratches to your floor. 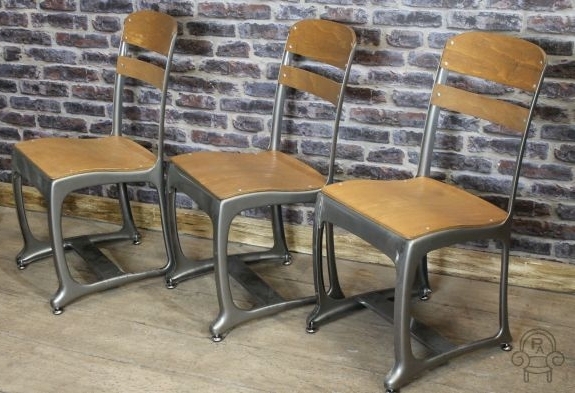 These vintage style chairs are also available with gunmetal, black or white frames. 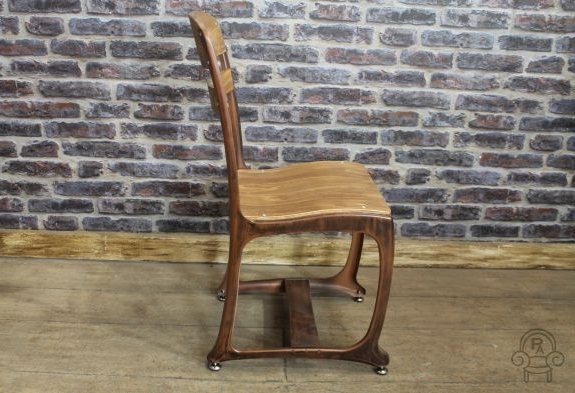 Please note, this listing is for one ‘Eton’ chair only. 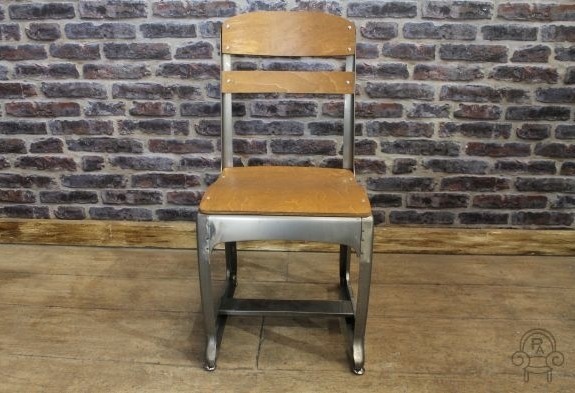 This 1950s inspired, vintage industrial retro style chair exudes and urban warehouse appearance and features classic industrial vintage styling. 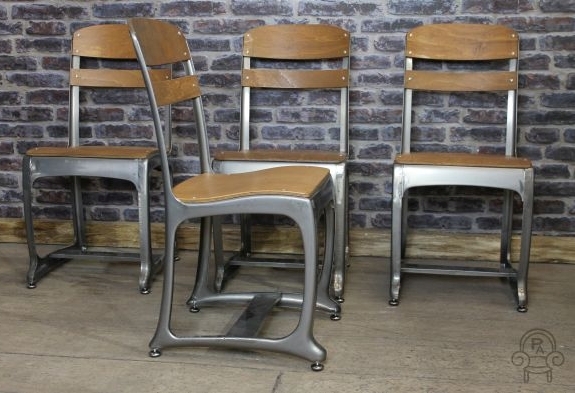 The ‘Eton’ chair has a steam bent, moulded aged plywood back and seat, and a pressed steel frame. 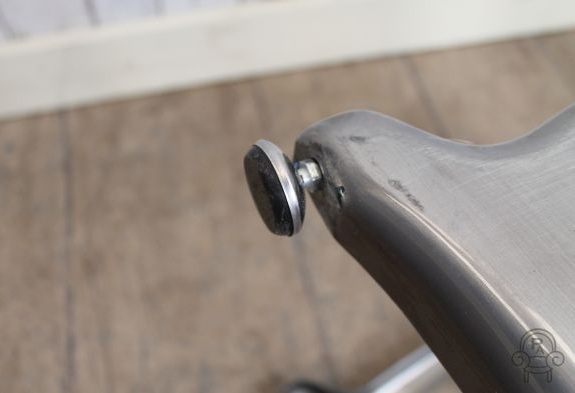 The chair grips your body, and is extremely durable and comfortable. 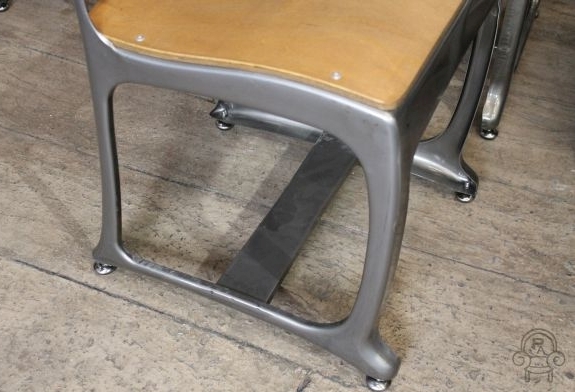 The ‘Eton’ chair comes with added feet protection, helping to prevent scratches or marks to your floor. 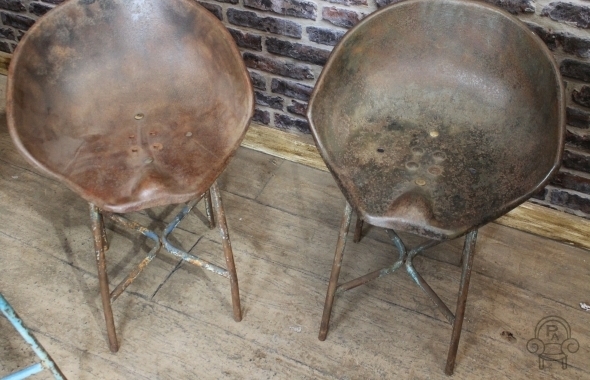 The chairs are also available with a black, aged copper or white frame. 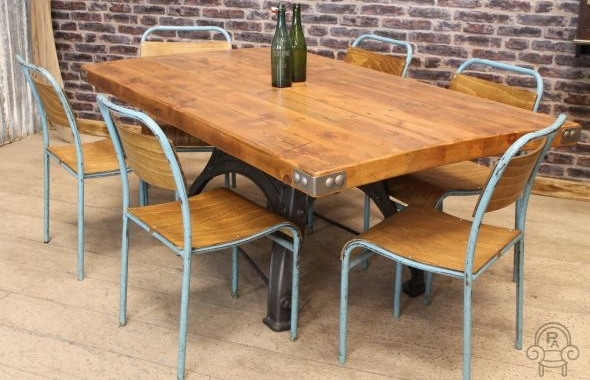 Please note, the table and other items photographed are not included in this listing. 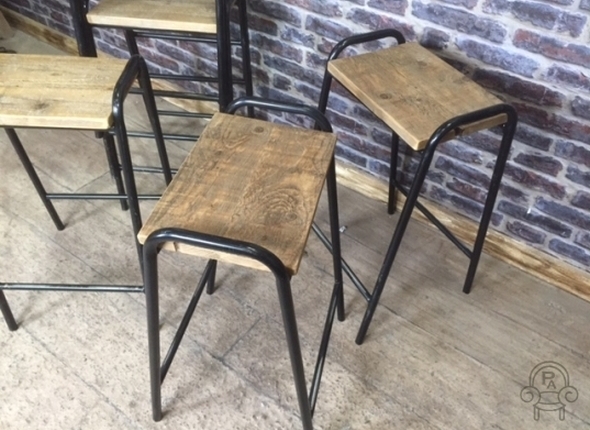 Please note, this listing is for one stool only. 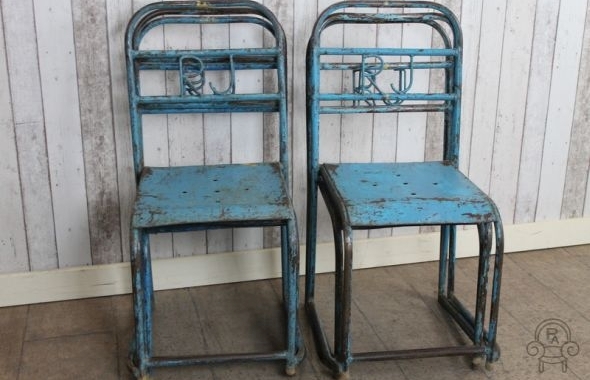 These industrial vintage tractor seat stools are an excellent addition to our wide range of vintage and industrial style furniture. 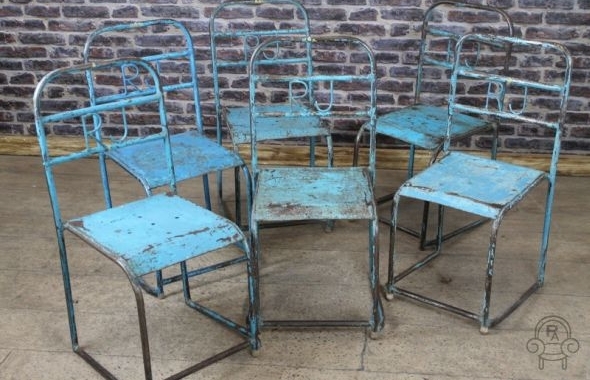 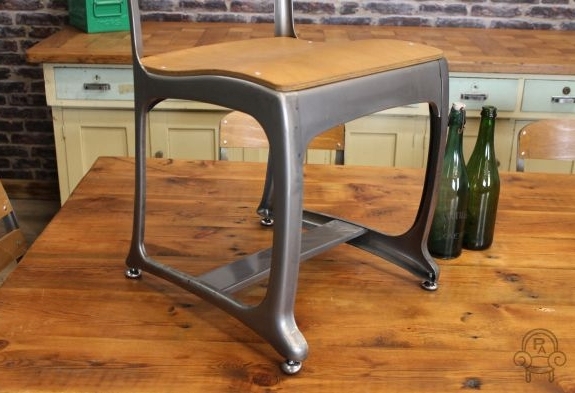 These unusual steel stools / chairs feature shabby chic paintwork, tubeless steel construction to the base and a large tractor seat to the top. 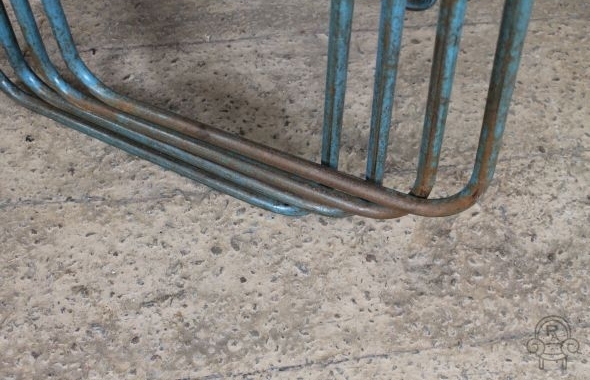 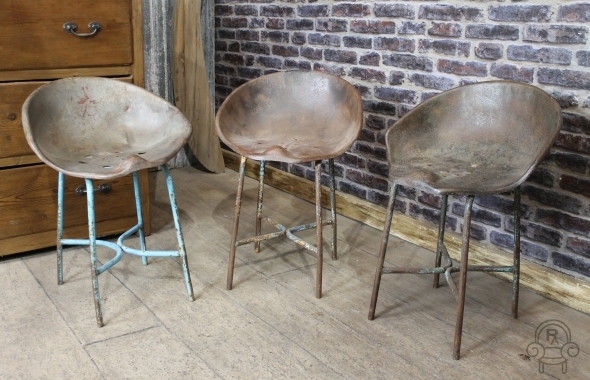 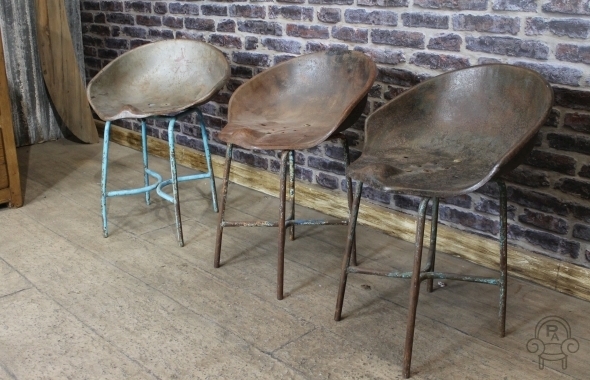 The stools have a really unique look, which would make them perfect for a vintage industrial bar, restaurant or domestic interior. 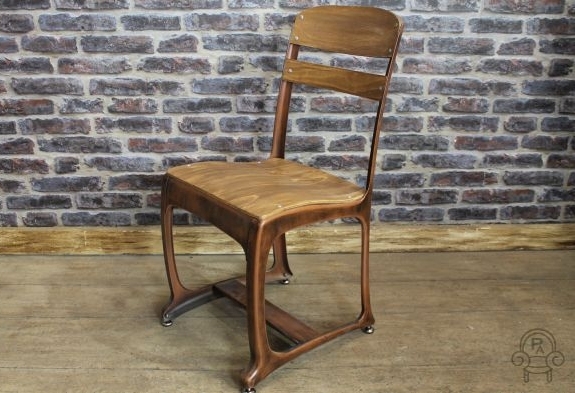 Please note – this listing is for one vintage plywood stacking chair only but we do have a large number available. 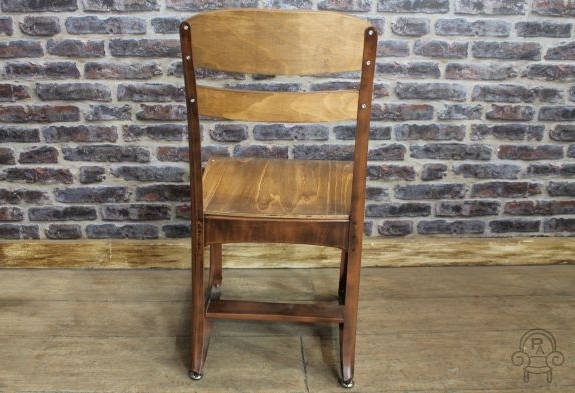 This vintage plywood stacking chair is an excellent item of classic and vintage industrial furniture. 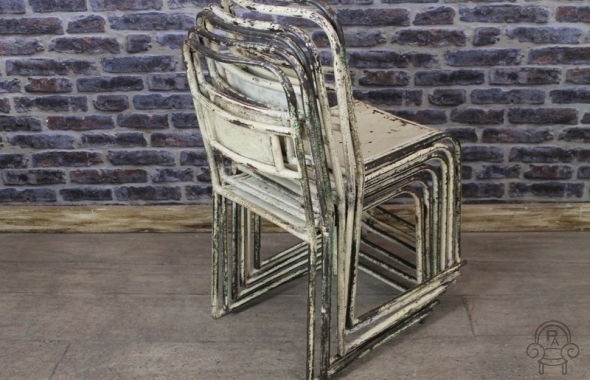 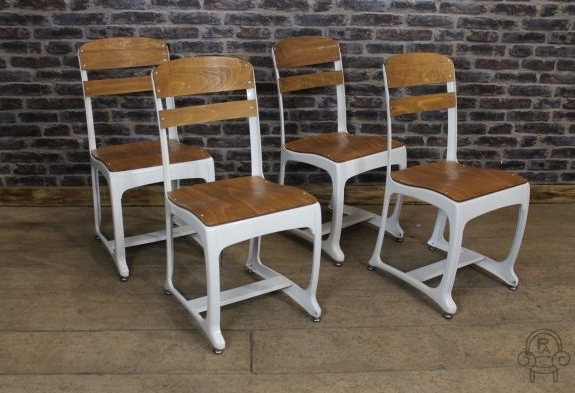 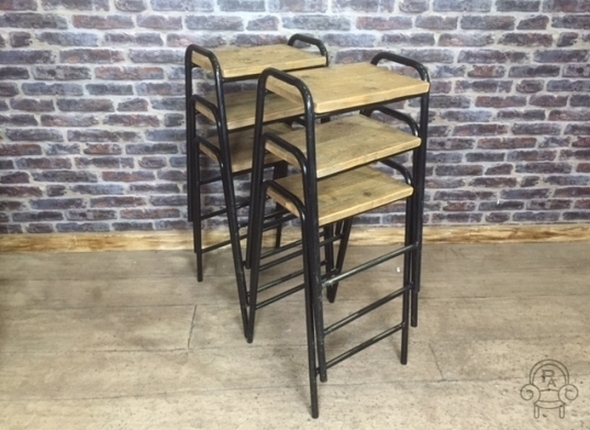 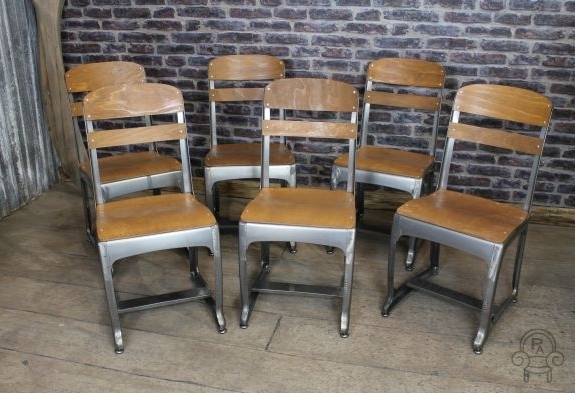 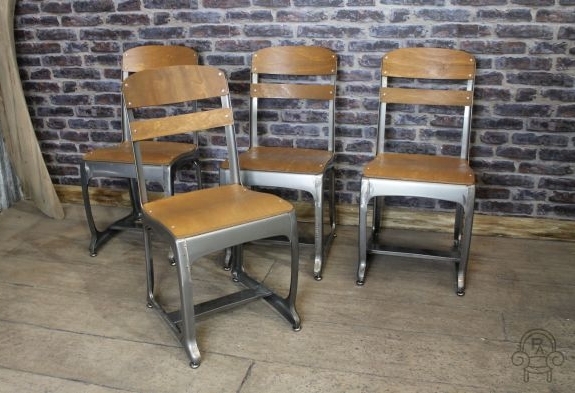 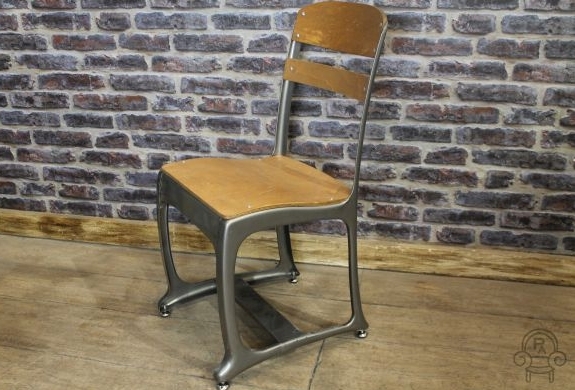 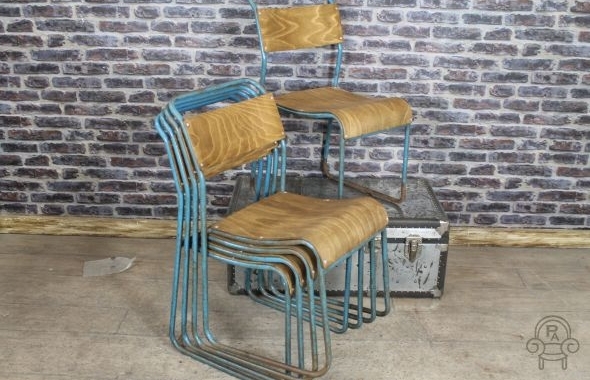 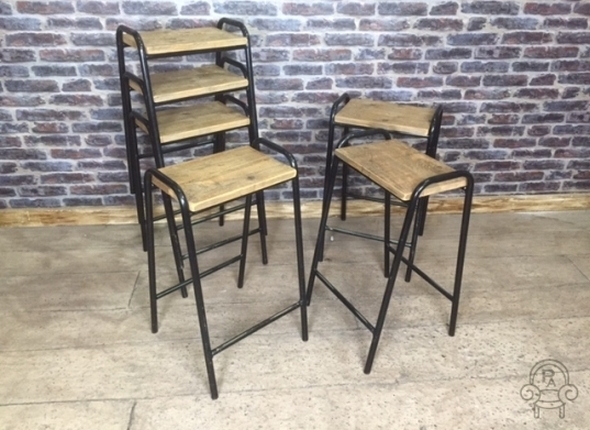 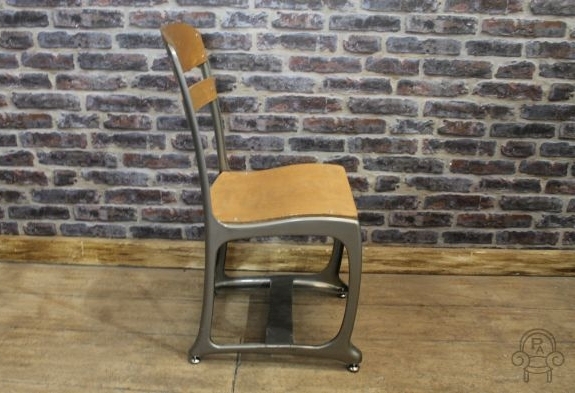 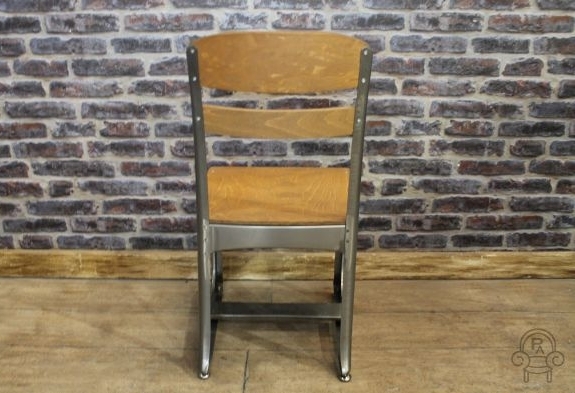 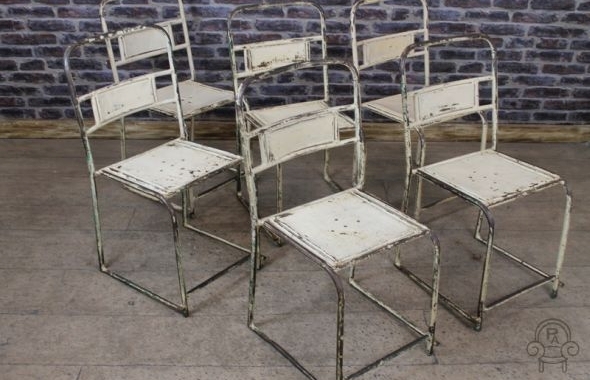 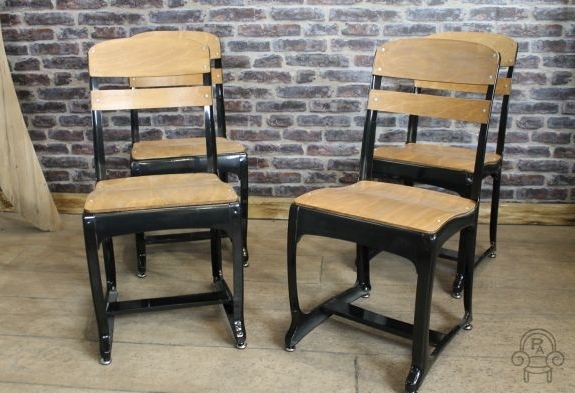 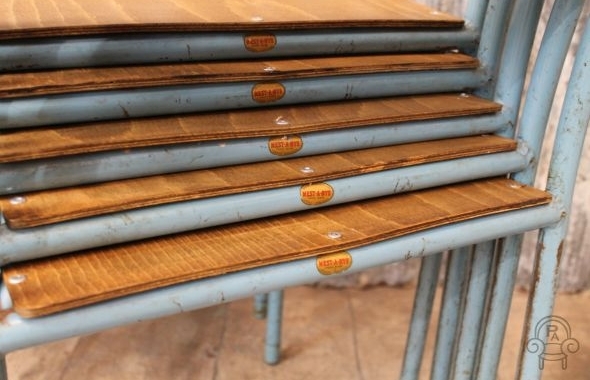 These original steel framed stacking chairs are very sturdy and feature a curved wooden seat and back support. 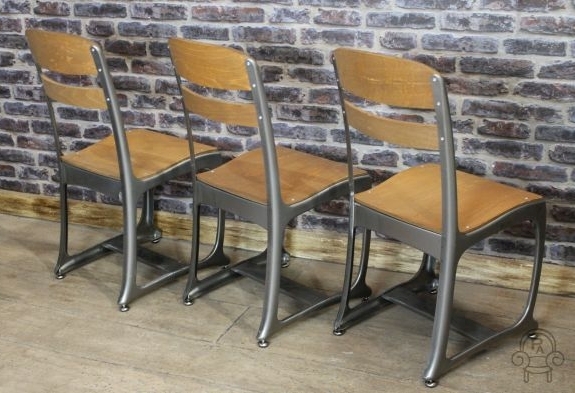 Due to their stacking ability, these chairs would be useful in any contemporary dining room or kitchen to optimise space. 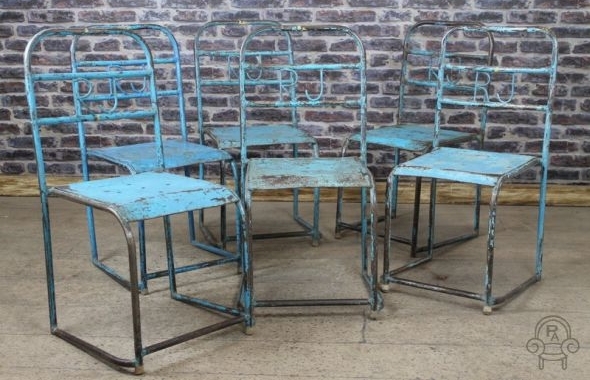 The chairs are all in a good condition, with no breaks to the steel work. 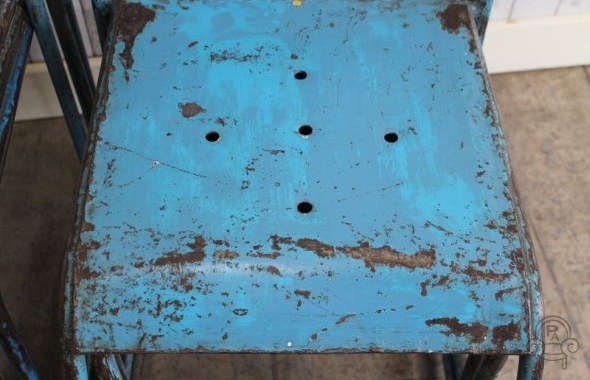 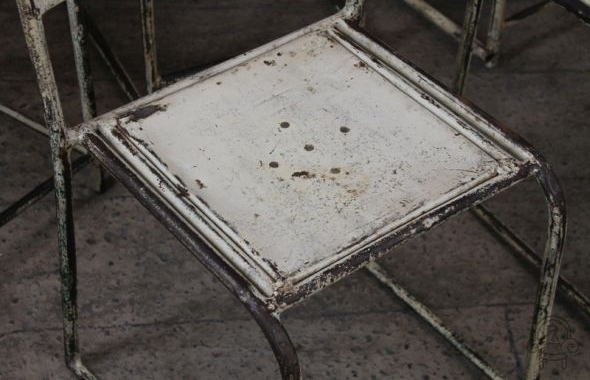 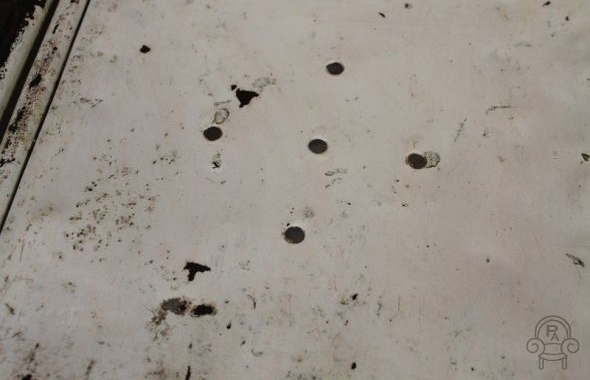 As you can appreciate, there may be some wear and tear to the seats and marks to the paintwork due to the chairs being used on a daily basis; however, we feel this only adds to their character. 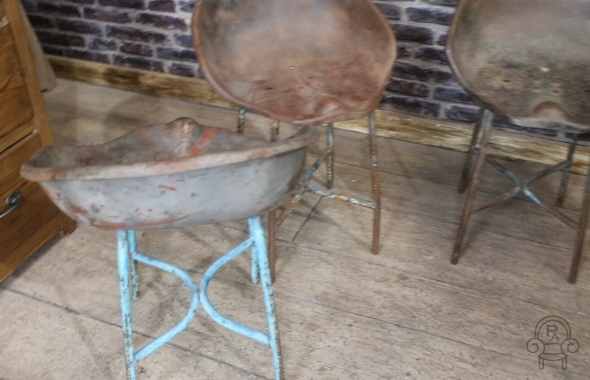 Please note other items photographed are not included in this listing.